Manohar Gunupuri from Gudivada, B.E. - B.Tech Graduate. 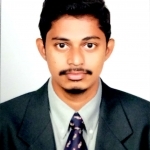 Manohar Gunupuri is Electrical Engineer In Automation and currently have no work experience. are one of expert skill area's of Manohar Gunupuri . Manohar Gunupuri is working in Oil & Gas industry. DELTA PLC VFD AND HM..